Our drive east from Canyon, Texas was through flat country side dotted with cattle, windmills, and field of grass and cotton. Occasionally there was an emerald green field where they were using over head watering. 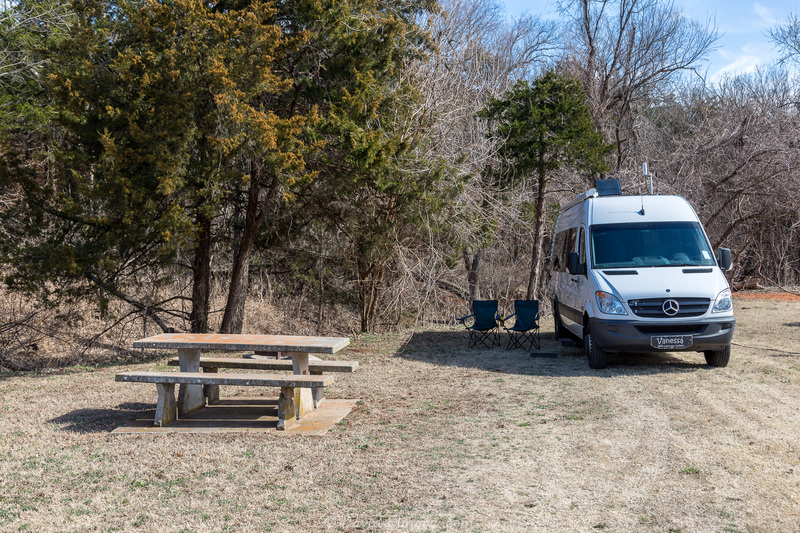 For lunch we stopped at the Elk City Lake Park, OK. A lovely lake with picnic areas and 5 free camping sites with electric and water. The wind we had been experiencing all day was roiling up the lake so there were whitecaps. As we drove back to the interstate I noted that the Bradford Pears were just blooming as were flowering plums. 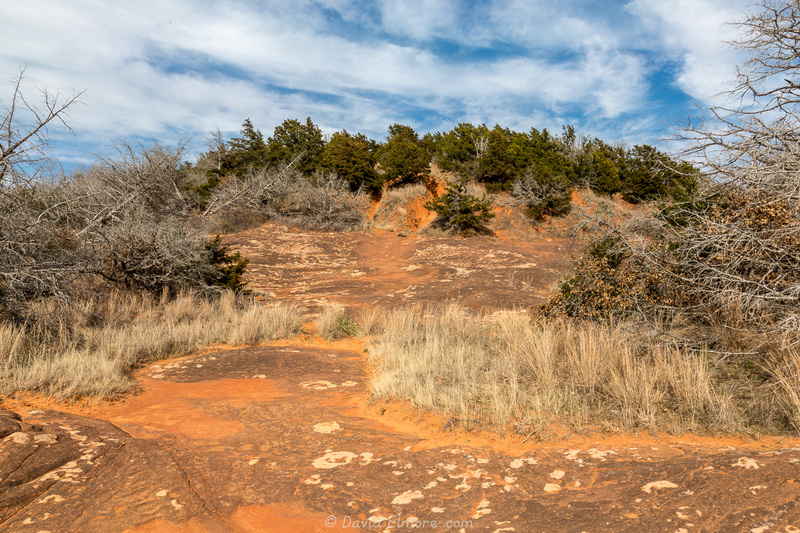 Spring has come to this area of Oklahoma. After we returned to the I-40, the southerly winds that had been buffeting us all day, became even worse. After another hour of fighting with them, the Sprinter began to give us error messages. This has happened to us before. The computer interprets the movement from the wind as the Sprinter slipping — as if on ice. 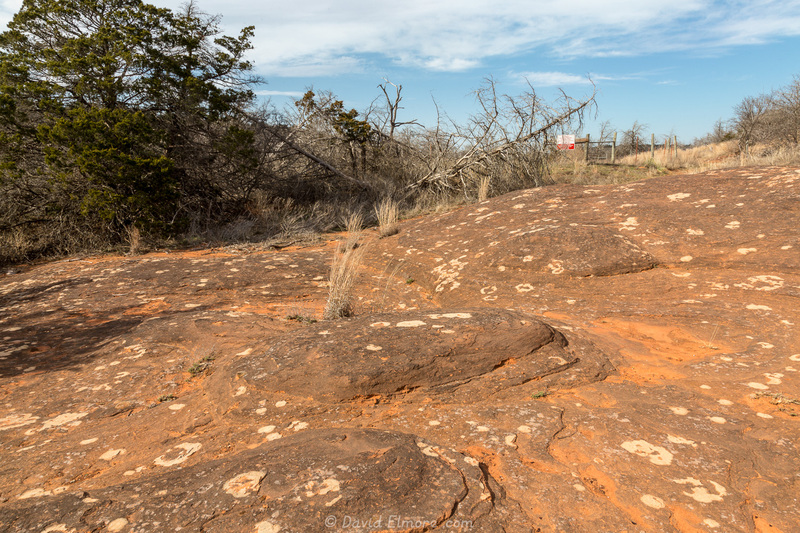 We decided it was time to call it an early day and found Red Rock State Park just 5-miles off the interstate. The park is located on a canyon floor. 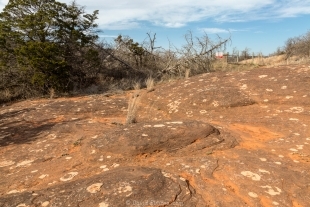 There are three campgrounds with sites suitable for tents and RVs. 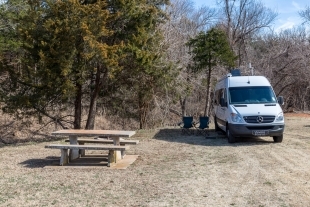 The RV sites all have electric and water, picnic tables, hibachis, and fire rings. We easily found a site that was open for one night. Most seem to be full for the coming weekend. After settling in we took a 2-mile hike up along the rim of the canyon. 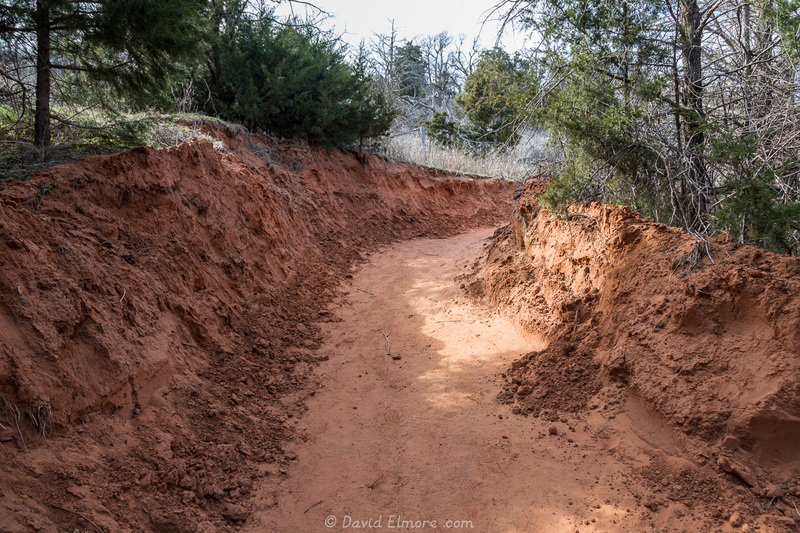 Part of the hike followed the old path that was used by settlers heading west to find gold in 1849. 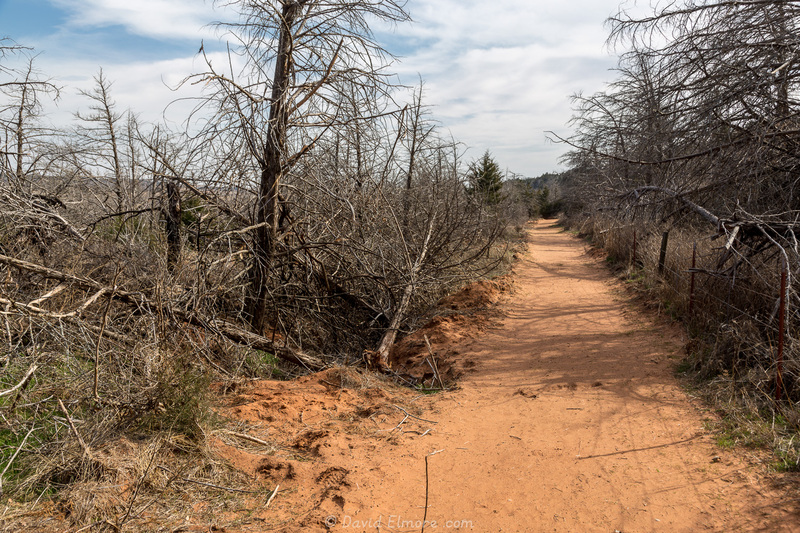 It was an easy hike along packed sand trails except for the climbs up to the rim and back into the canyon. Those climbs over smooth red rock would have been very difficult, but they have installed railings to help hikers. A nice walk on a breezy, sunny 77-degree day. We have excellent AT&T cell phone coverage — we can see two towers up on the rim.